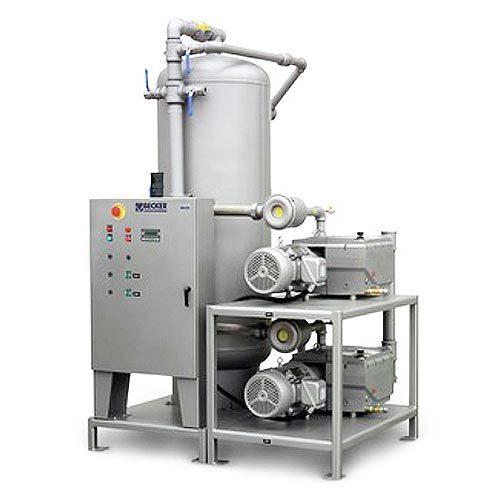 Advantage-P laboratory central vacuum pump systems are a variation of our Advantage-L lubricated central systems with the inclusion of an Auto-Purge function. This enables the pumps to purge any remaining gases from the pump when shutting down, thus preventing corrosion and enhancing safety.When a pump turns off, a timer is started and the main process line is isolated and fresh air (or an inert gas, if desired) is drawn into the pump for a period of time through a auxiliary port. When the timer is satisfied, the pump will stop operating.